The most wonderful time of year is almost upon us, so we’re dusting off our suitcases and planning spring break destinations! No matter where your vacation spot is this year, you definitely need to be rocking a pair of our sunglasses while enjoying outdoor activities with your besties for the week. 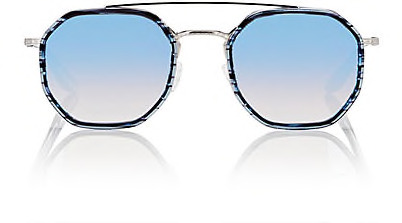 Whether packing your bags full of swimsuits or ski gear, sunglasses are a must regardless of the temperature. Below we’re sharing our spring break favs that we think would do great for your getaway. Match your location with one below and stop by to get the shades to match! Where are you headed for spring break? 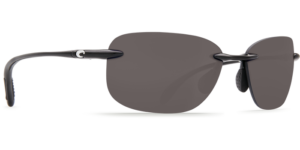 The perfect shades for a great boat day full of waterskiing and jet skis – these sporty Maui Jim “Castles” are easy to grab and throw on to protect your eyes in the sunniest of climates while looking stylish all at the same time. Who’s ready for a relaxing day spent on the beach? I know we are! Match your frames to your mood with these trendy Barton Perreira “Themis” shades that scream leisure. Run by and pick them up before you head down to the beaches! If you’re planning a nice hike over your break, you’ll need these weightless, non-slip shades. Be stylish while exploring the great outdoors with these Costa Del Mar “Seagrove” sunglasses! We’re here to help you select your must-have sunglasses for your trip, whether you’re traveling right down to the beach or across the states to ski the slopes – we’ll have you hooked up in no time! So, before you hit the road, take a quick trip to JJ Eyes in Fairhope or Homewood and let us pair you with the perfect sunglasses. Tell us where you’re headed and we’ll pull the right shades for your destination. Time to start packing!